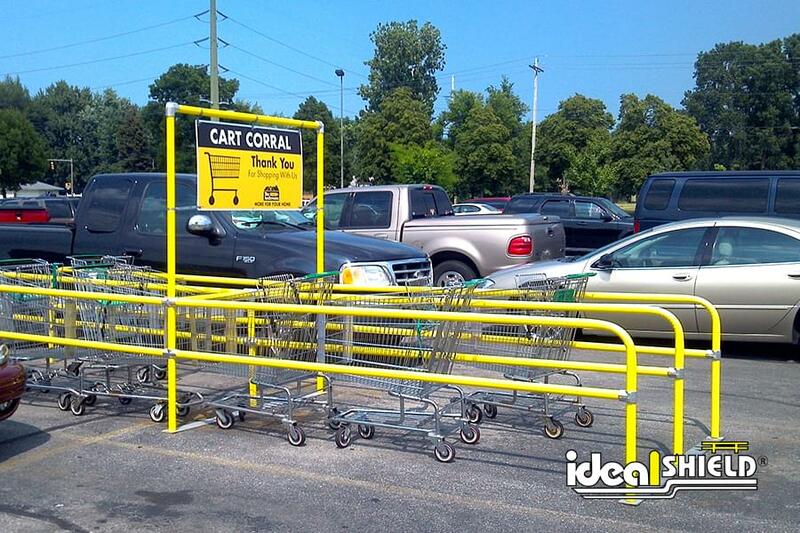 Cart Corrals take a lot of abuse, so make sure that you have one that will last. 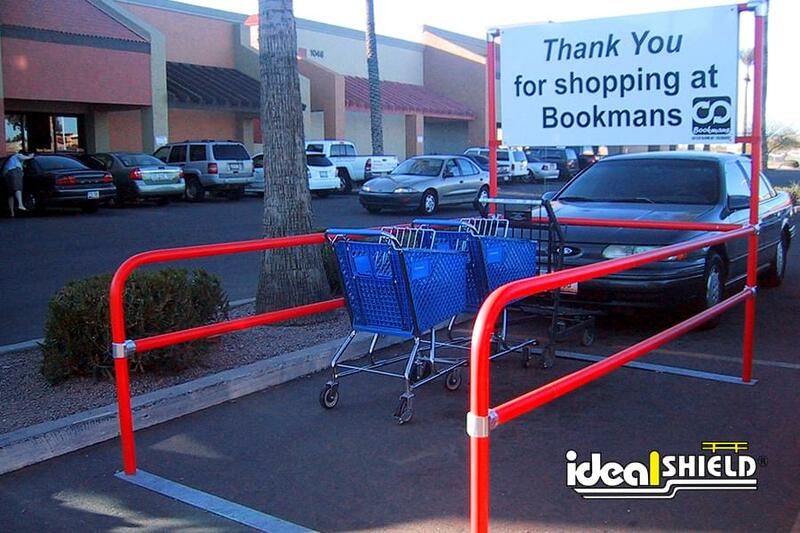 That is why we here at Ideal Shield designed a Cart Corral to take a beating and keep looking fantastic. Our Cart Corral is built from schedule 40 and schedule 80 steel posts sleeved in your color choice of durable plastic and corrosive resistant aluminum alloy fittings. This design makes it one of the strongest, most durable cart corral on the market. Don’t worry about cold or hot climate areas. 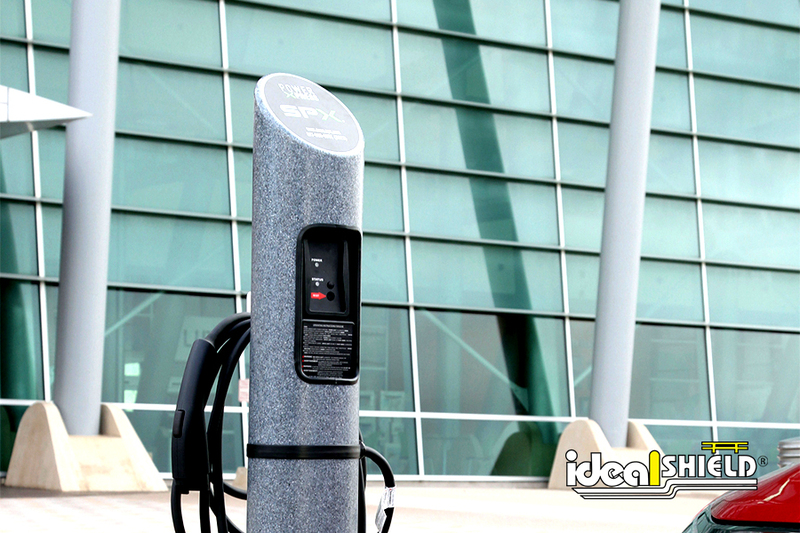 The LDPE plastic sleeves will keep the corral looking clean throughout the year. 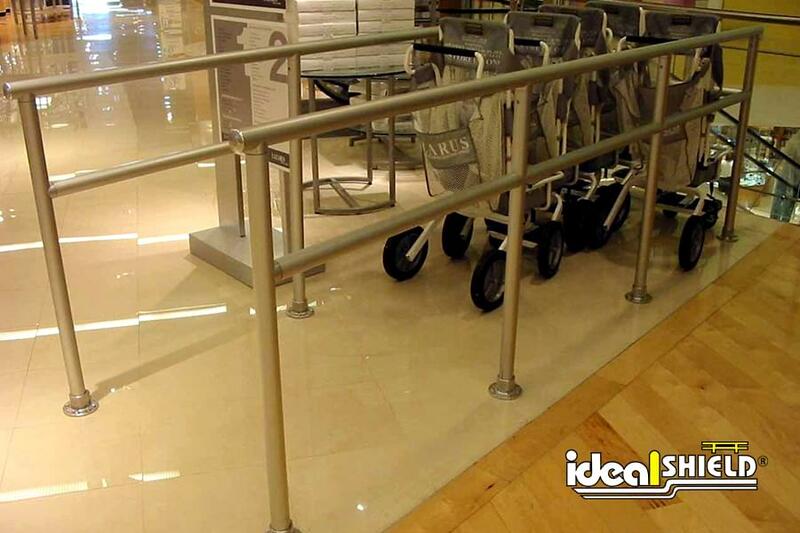 Ideal Shield’s Cart Corral is delivered in assembled sections which makes it easy to install and does not require specialized labor or field welding on site. What styles are available for cart corrals? 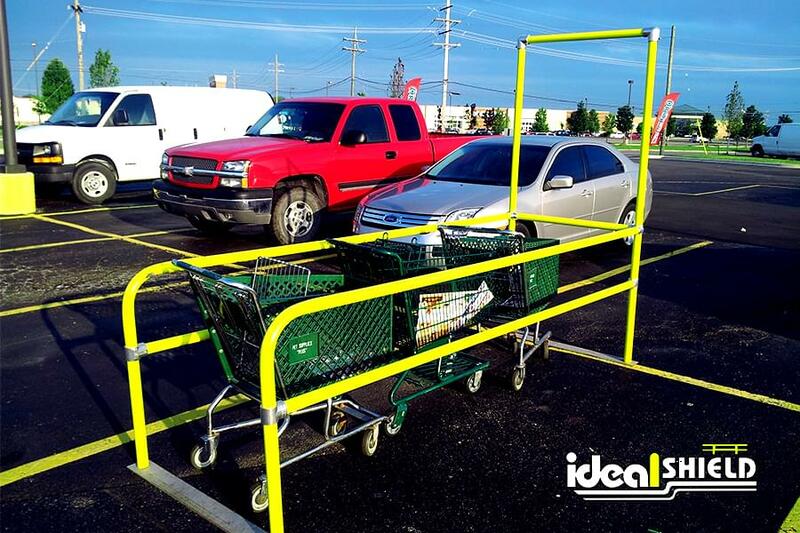 Ideal Shield’s Cart Corrals are manufactured of both 1 ¼” steel pipe and plastic or 1 ½” aluminum and are available as single or double bay, with back to back systems available. 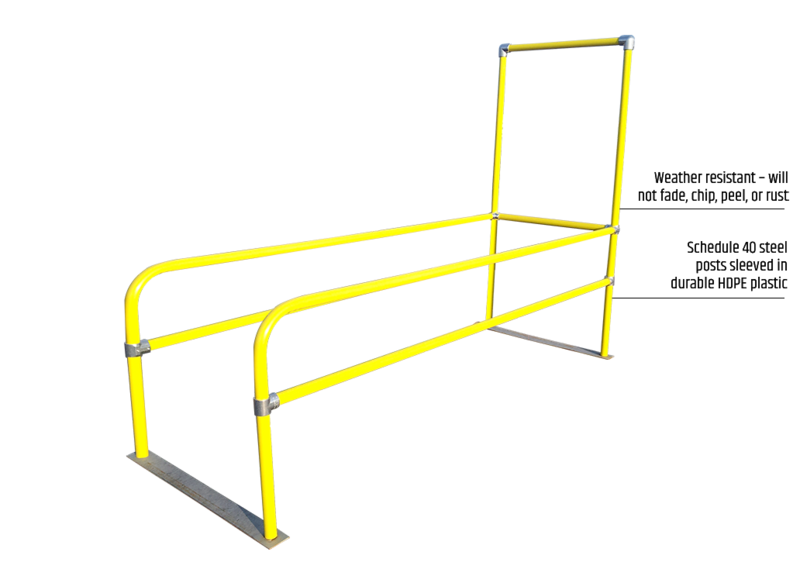 Ideal Shield’s Cart Corrals standard colors for the steel pipe and plastic system are yellow, blue, red, white, silver, and black; for the aluminum system the finishes available are clear coat anodized – powder coat options are available. 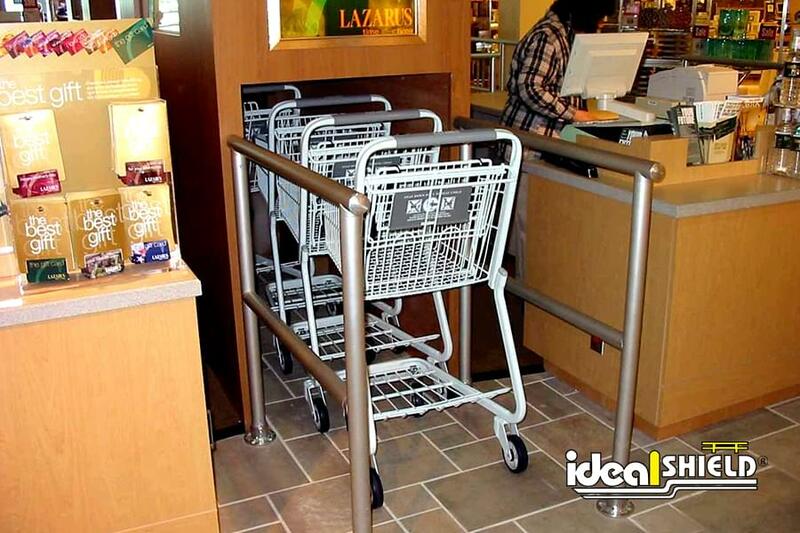 Is the Ideal Shield cart corral removable? 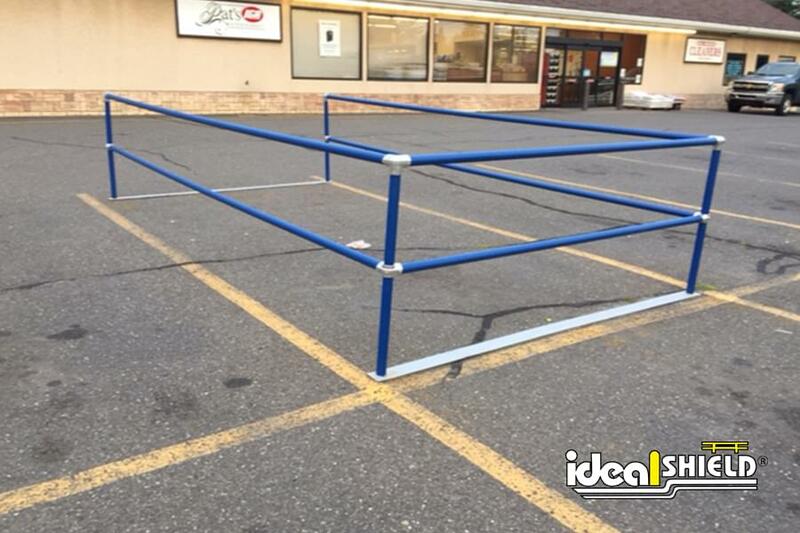 Yes, our cart corrals can be easily removed and reinstalled to accommodate parking lot clean-up and snow removal.